1. There is no experience without neural activities. Its simply not possible. We have discussed what "experience" means in another topic. If experience is just neural activity then experience of the Self is neural activity as well. If that's true realizing of the Self is gone with death or when jnani is in deep sleep. If experience is only by the brain then the soul doesn't experience hell or heaven or astral planes or whatever you call it. And really there is some cases documented by doctors when people experience out of body experience with flat EEG. There was a case when a man has been lying dead in the morgue three days and then woke up and telling with detail what he has experienced during that time. I have not strong opinion on this topic yet but I can't categorically say that experience (even objective) exists until brain works only. 2. How do you know that a Ramakrishna when he saw Kali Ma, was not hallucinating ? what is really hallucination. Lets leave Sri Ramakrishna for a moment [ Let me assure you I respect him as my guru. So these questions and their analysis will not definitely undo all our beliefs about sri Ramakrishna]. So now ... suppose you see mother Kali. How do you know its not hallucination. What do you mean by hallucination? Am I not your mind's "hallucination"? If you reject I am real then you can say Sri Ramakrishna's experiences were real. But if you accept all your experiences during wakeful state real then why do you reject the others. It's not "fare play". And Sri Ramakrishna was jnani, as His devotee you must know it. Then how can you say that He cannot differentiate real and unreal and so on? 3. What od you mean when you say "i experience Self and nothing else" ? suppose you get some such experience... it comes and goes away. what would happen now ? The ego will revive itself and will say "I was in nirvakalpa samadhi. I was enlightened". That's what the ego does. 4. And then there are people who say "my mind came down and slowly moved towards the right side of heart and then it merged there" ... if one keeps thinking like that ... one will feel that way as well. Thats not what Bhagavan meant by Self Realization. Yes. But He has given explanation according to the people's understanding. There are little such people like Him. Most of them are attached to their philosophies. I have never met such a christian for example, even among so called mystic christians. Most religious people cannot transcend their dogmatism. if you read a upadesha saram ... Bhagavan says "Mano-nashanam" is mukti. he does not say a particular experience is mukti. he does not even say nirvikalpa samadhi is mukti. he did not say "if u want mukti ... u need death experience". he said "nasta manasah, utkrsta yoginah ..."
If the mind is dead then there is no room for questions, explanation, need for explanation, categorization and so on. But many people do the mistake to think that their current state is the supreme one and ignorantly fall into their passions. do you know what happens? People have some experiences , they get proud and declare themselves as realized and all others as lower them them. then they eventually start getting involved in all sorts of worldly activities. My understanding is that until one thinks anything about anyone then the mind is not dead. To declare one's realization is like to say "black white". a mind such great Sages can do activities. If it is asked, 'We actually see the Jnani performing actions. How can actions be performed in the absence of doership i.e. IN HIS HEART AND PERFORMING THOSE ACTIONS. See also Sri Ramana Reminiscences, G.V. Subbaramaiah. up, and magnet to attract the needle. Like wise mere Presence of Jananubhava makes a Jnani does all the activities. You are trying to understand what is beyond the mind, with the mind. The Self is beyond knowledge. No words can "describe" the self. You cannot experience the Self, you can only BE the Self. Thus..."Be STILL...and know I Am God". Be STILL, forget the mind with its eternal chain of questions and learn to BE. JUST BE! if you are aspiring to know it, you can never know, you just have to give up. Give up even the desire to get liberated! you can never know it! See clearly that there is nothing to know, really! To put it perhaps shockingly, there is nothing like realisation, there is nothing like self, 'I am' etc... the desire to know is the greatest Maya! If you want to experience the sugar, you must taste it. But if you are sugar then it is all bliss. No one need to know it. There is a devotee Mr. Ravi who wanted to post the below comments as he did not have access to this forum but a regular reader of this forum. Please post your comments addressing Shri Ravi. I was particularly impressed by the earnestness of ramana 1359-I gather that he is a student(somewhere in Europe),and born in christian faith.I find that his posts are downright honest,objective and earnest. I am not a member in this website ,so am not in a position to respond to the discussion in this thread. I find all the rest of the people,while being earnest is still caught up in their own belief or faith and not responding adequately to Ramana. ". But for us as people with "body consciousness" this topic matters and is real one. And I'll say you why. If we accept that everything is predestined, including our liberation and spirituality then our spiritual effort is meaningless because if I am destined to get moksha I'll get it even if I stay all day in front of my TV. Then God is unjust because He has chosen one to be liberated and other to suffer and die. "But he who has been liberated has deserved it because of the good deeds in his previous life" but I ask "How could you say that the good deeds are his provided that he has no will?". I think we must be careful when we discuss this matter because we may turn some people to become spiritual sluggards, victims of religious fanaticism and many other things. I don't think that extremism is right answer to any problem in life including the topic "free will and destiny". I always prefer the middle way. Lack of free will compromise and bhakti, and jnana, even Vedanta. Without free will there is no responsibility, duty, cultivation of virtues and so on." "Do you understand why I participate in this conversation? It's not about what I think. Nobody cares and it doesn't matter. It's about to protect some people reading this from wrong understanding of the concepts about destiny and free will. It's not about belief or theories but about practicality. This topic is as whole about practicality because in relative reality there is only God's Will and in absolute reality there is only Brahman. " Yet again he has said:"Nobody could try to change him/herself to be good, even to follow God. People could say "I don't want to lead a spiritual life. If God wants then I will be changed and will start following Him". That's my point. To believe in determinism (which means to believe that every detail, no matter how small is is predetermined) makes life absolutely meaningless and makes people like inanimate robots. There is no bhakti because it's like God pray to Himself using people. There is no Self-inquiry because God has already decided who can do it and who can not. That's my point." "Destiny and free will are equally nonexistent says Lord Ramana. But this is absolute knowledge. But unfortunately our knowledge is relative. The question is what belief is best for sadhaka. How can a bhakta accept that he or she doesn't free will? This makes bhakti dry like a rusk. How can a jnani say that there is free will when he knows only the Self? How can a karma yogi say there is free will when they see that everything goes on even when they have no will on their own? How can a raja yogi say that there is no free will when they use their will every day to do his spiritual sadhana? I hope you get my point." Like this he has gone on and on.DID HE GET A HEARING?DID ANYONE LISTEN?No,everyone else is caught up in his own belief,and is repeating ad nauseum what Bhagavan said,which in no way answers to what Ramana has been raising as a genuine question and pointer,over and over again. day he taught them to see God in all beings and, knowing this, to bow low before them all. Likewise,to say that man has no free-will is not to say that he has no will and should not exert and become passive.It is to say that he should use every bit of his intelligence and will as God-given and through that face and overcome the challenges posed to him. To say that there is no free-will and only the SELF alone is-is like saying 'all is Narayana'.Such a belief is not of any avail.It will only imprison one more and more and is sheer fatalism. I have to say that Ramana 1359's responses has been more appropriate than all the rest put together.They are so caught up in advaitic yarn spinning that not one of them has actually listened to what ramana has been saying over and over again. Firstly Thanks to Sri Ravi's response and, thanks to you too, for posting his response here. Yes, Ramana did raise few very fundamental questions which mostly we fail to recognise in our hot pursuit of our goal. My observation is that, this notion of Middle way is very much notional, this middle way is a very personal thing to each person. In our country, since time immemorial, there have been various paths, some extreme and some very cordial to our life. We have Sadhakas such as Aghoris, who eat human dead bodies at mid night, and we also have Krishna Bhakthas who dance and sing kirthans all days and nights, and, there are these wandering monks, which we even now see in cities as well, who sing song and live by just what they get to eat. i mean to say that there has always been space for everything. There has never been pressure or a dictum that it has to be moderate or extreme. nothing is specified. Only one has to be true and honest to oneself, this much is the basic requirement! This 'want' of a middle way itself is an hindrance, (this is my experience) as i found there is no middle way, really speaking, it is very notional! As for that matter, I am sure, all devotees, especially Ramana devotees are in some degrees, definitely differ from the general lot, other schools of thoughts. I am sure, devotees in serious quest of truth may all experience some difference in their daily lives, because, the society and world survives with the power of ego and mind, and here, there is no place for both! Buddha, who first propogated the middle path, itself was the greatest failure, for, by the time sincere sadhakas discovered the middle path, their life in world would have ended as in they woul no longer be in main stream wordly life. They become monks! For instance, Major Chadwick, came and remained in Arunachala as a recluse, to just name one, there are so many! I believe a sadhaka, who is in search of truth goes through the path based on his past impressions, if it is so, that one has to under go extreme path in his quest for truth, one cannot avoid, for instance, look at the life of Buddha, he had to undergo extreme suffering and extreme sadhana before attaining Samatva. It is said that Buddha ate just one morsel of rice eac day at some point. 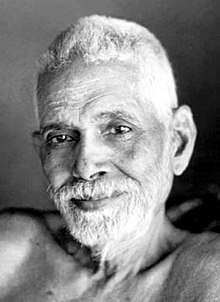 On the other hand Ramana Maharshi got liberated even without desiring for liberation and stayed put in one place, never moved anywhere, whereas Shankara went round the country 3 times! There is no real boundry who is true search for truth! There is a line, which restricts persons in search of truth, and this border is really invisible. this line is the freedom of a Sanyasi, where rules don't apply, once if a sadhaka crosses this hidden line, he is bound to face differences, untill he attains peace or samatva or samadhi, he undergoes all sorts of experiences, here, our demand for moderation or middle way will not apply, and not even work, for the power of the fire for the quest for truth will push one beyond any restrictions, even if one does not want to, it will show by itself to the sadhaka the Shocking realities of world, like Shiva's third eye, this is the Rudra Thaandavam. It is commonly said that one can see Arunachala truly only after having darshan of Chidambara Nataraja, ie, the cosmic dance of Nataraja, that is cause of pralaya. The vision of Truth initially is shocking, as shared elsewhere before, each time when parts of truth is beig revealed, it is very shoking for the sadhaka, it is said, that when Krishna showed Vishwaroopa Darshan to Arjuna, he could not see it with his naked eye, and he gave him divine eyes. So, such being the case, want for moderation is really a barricade. One who wishes to really see the truth, cannot avoid having to face the bare truth in its simplest self. There is no wrritten way. It is mysterious, no rules, wordless, each person's experience is different according to his own past impressions. One cannot avoid facing terrible extremes if one has to, no matter how much one tries to side towards middle way! One cannot avoid facing the simple middle way, if one has to, no matter how mucg one tries to side towards extremes! nothing is determined, even if it is determined, we can never know, can we? whether there is destiny or not? we have no way of knowing it! it is better to not believe in destiny! In the same way, who knows if really there is freewill? If it is true that we have freewill, then what ever we wish would have happened, but it is not so! Suppose Ramana himself says that there is no freewill or destiny or if he says yes, there is freewill and destiny, how does it change our position? in what way can we confirm what Ramana has said? We can never know, yes or no! We have only to discern ourselves by our own experiences alone. So, i landed on this revelation, that it is best to leave these questions aside, I don't know, if there is free will or destiny, and i have no way of ascertaining it, so it is as good as not there at all, and this was a revelation to me! We can know nothing, we can know nothing! period! there is no middle way, there is no extremes, it is all where one is, it is only our notions that describes something as extreme and moderation. For, in my own experience, my own truth sometimes contradict the declarations of sages, then is when i realised that we are more dependent on questions and answers of others and books, more than our own experiences, which is REAL, and truly to claims ours, as it is my experience, i don't have to prove it to anybody, such is the power of putting focus on ones own experience. be ready to go in search of truth, whereever it takes you. this is my understanding! For I am sure that Truth shall never fail you! ...And here is the test of truth- anything that makes you weak physically, intellectually and spiritually reject as poison; there is no life in it, it cannot be true. Truth is strengthening. Truth is purity. Truth is all knowledge. Happy to join this Forum of earnest,enthusiastic devotees.The Topics discussed here cover a Vast Range.I Have enjoyed reading comments by friends here and I will continue to do the same. Very nice to have you here. Hearty welcome It will surely be fruitful Satsang with you, perhaps, also to keep us all grounded too, at certain levels. We all need that, we all need to complement each other. of another hemp-smoker." thanks very much.I truly enjoy the mutual love and respect with which members here address each other and even in a contentious discussion,this spirit is always kept up.This is genuine Sat-sangha . Please feel free to address me as Ravi. Welcome to the Forum Sri Ravi. Thank you for the good wishes you sent to me and all forum members. I am sure that your presence here will help us all. in professional matters and personal matters, there is no better medicine than the surrender. to the members of the Forum and I expect you to do this for the benefit of all.